Viscount Organs has been making premium-quality organs for more than a century. In that time, we’ve proven ourselves to be innovators in the field of the digital organ. We offer our incredible hybrid organs to those who are looking to update their existing pipe or church organs. But when is the right time to, and why should you update your pipe organ, and why should you? Read our guide to find out more. While the pipe organ is a long-lived instrument, there are fewer people playing them, as many churches are switching to congregational music being lead by guitars and drums. Some other churches simply rely on a standard electronic keyboard to mimic the sounds of a pipe organ during congregations. Of course, there’s the simple fact that repairing and maintaining an existing pipe organ can be immensely costly, and so some groups may put off repairs in favor of more cost-effective options. 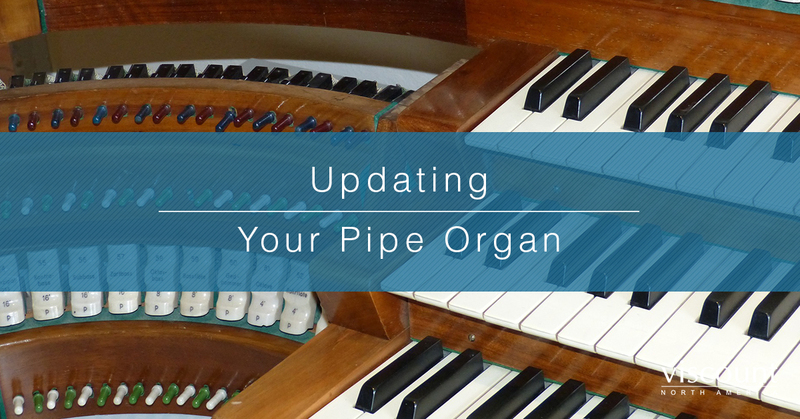 All of these factors can influence your decision to update your pipe organ. If your church’s pipe organ is beginning to show its age, it’s time to start considering updating it. In this situation, you have a few options: rebuild the extant organ, purchase a new pipe organ, soldier on with a broken instrument, or replace the pipe organ with a digital organ substitute. There are many solutions to any of your pipe organ problems of course. Rebuilding an organ console can be a labor-intensive process, and requires the work of a specialist. Purchasing a new pipe organ outright is often beyond the means of many churches and groups. Playing a broken instrument is a frustrating experience for both the performer and their audiences. Many of these options can be costly, but only one can be done efficiently and affordably. Installing a digital console, or a new hybrid organ can be had for the same price as many common pipe organ repairs. For those who are interested in a digital organ to replace their existing pipe organ, they might find the concept of a hybrid organ appealing. These hybrid organs take the best parts of both pipe and digital organs and pair them together. The result is an organ that has all of the beautiful resonance and character of a full pipe organ but has the flexibility and ease of maintenance of a digital organ. The addition of a digital manual and console to your existing pipe organ is a smart choice for those looking to get the most out of their organ. Hybrid organs add new sounds and ranges to the pipe organ by using electronic frequencies that have been tuned to work with the existing pipes. Your congregation will be treated to new sounds and tones from the old organ that they’ve come to know and love. Additionally, your pipe organ will play more consistently when you use a hybrid organ. The nature of the instrument makes them very susceptible to changes in temperature and humidity. This can affect the way the pipes sound and can mean that pieces might sound different when performed throughout the day. The hybrid organs available from Viscount Organs are fitted with dozens of sensors that measure environmental changes within the pipes of the organ. The digital console then uses this information to automatically tune the note it produces to match the pipes, producing a clear, in-tune note with every press of a key or pedal. 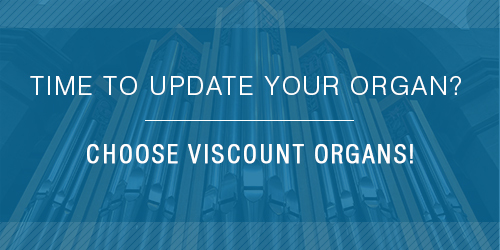 If you feel your organ is due for an upgrade, it’s time to visit Viscount Organs. Our Physis technology uses mathematical models to produce sounds that sound exactly like your existing pipe organ. A hybrid organ can quickly and easily be installed with your existing pipe organ. You’ll play great pieces, symphonies, and songs, with added sounds and versatility when you use a Viscount Hybrid Organ.